Current version: 1.0.31. Released Mar 26, 2019. The Cloud CMS Java driver makes it easy for your Java and Android applications to connect to and communicate with the Cloud CMS server. The driver can be utilized with Android mobile devices as well as Java applications running on the server or as a web application (Spring Framework, SEAM, etc, running on Tomcat, Glassfish, WebSphere and many other frameworks). Cloud CMS runs a Maven repository where it hosts its Java-related assets including the Cloud CMS driver. If you're building using Maven, Ivy, Gradle or another build framework that manages dependencies, you can probably take advantage of this repository. To connect to Cloud CMS, you first need to have a set of API Keys. In Cloud CMS, API Keys consists of a client key/secret and a user key/secret. You pass these keys into the Gitana.connect method as a JSON object. You can then connect to Cloud CMS using a code block like the one shown below. Make sure to plug in the values for clientKey, clientSecret, username and password from the API Keys that you generate. The Java driver is a useful library that provides access to the capabilities of Cloud CMS from a programmatic perspective. It is therefore important to first familiarize yourself with the concepts presented in the Cloud CMS Documentation. You should also familiarize with the Cloud CMS REST API which covers HTTP-level information about all of the methods and operations available within Cloud CMS. The Cloud CMS Java driver is 100% open-source (Apache 2.0) and so you're free to fork it, extend it and dig into it to learn about how it works. We provide hundreds of test files and thousands of unit tests within that demonstrate various code operations. It's really cool. 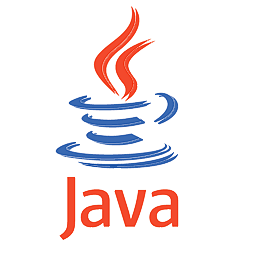 The Java driver is free to use in your applications and projects. It is fully supported by Cloud CMS.